Dr. Demel-Fletcher is a native of Switzerland who has lived in the US since 1990. She obtained her chiropractic degree in 1994 from Northwestern Health Sciences University, and her acupuncture certification in 1997. She has provided care to the Cannon Falls area for 20 years. Her chiropractic approach includes specific manual adjustments from the Gonstead Method, needle acupuncture, and she is full body certified in the Active Release Technique of soft tissue management. While maintaining a general chiropractic practice to infants and seniors alike, she has concurrently expanded in areas of particular interest: the supportive management of long term, chronic and often complicated general health issues using the integration of chiropractic, modern and specific nutritional intervention, acupuncture, and lifestyle changes. Christine Vanstrom currently resides in Dundas. She received her Associates Degree in Therapeutic Massage from the National American University in Sioux Falls, SD in 2003. She is also a certified Infant Massage Instructor. Her massage skills include: Swedish, Deep Tissue, Passive Stretching, Myofascial Release, Sports Massage, Oncology Massage, Trigger Point, Lymph Drainage and Hot Stone. She has previously worked in a chiropractic office co-managing patients with various injuries. She enjoys customizing each massage to fit her client’s needs. Kim Caputo joined the BWC team in 2016 as lead administrative staff and office manager. Kim has previously worked in the banking and educational fields. She brings several years of experience in dealing with special projects and complicated administrative issues that require an attention to detail. Kim is the contact point for any insurance and billing questions, in addition to her front desk presence. Kim is a Minnesota native and lives in Cannon Falls with her husband and two children. In her spare time, Kim is a master gardener and cook. Sue is a Cannon Falls native who joined the team in 2015. She has extensive experience in home health care and a passion for helping patients. She handles a multitude of front desk tasks, including scheduling, paperwork, records, labs, and supplements. In her free time, she is an avid fisher (wo)man and hunter. 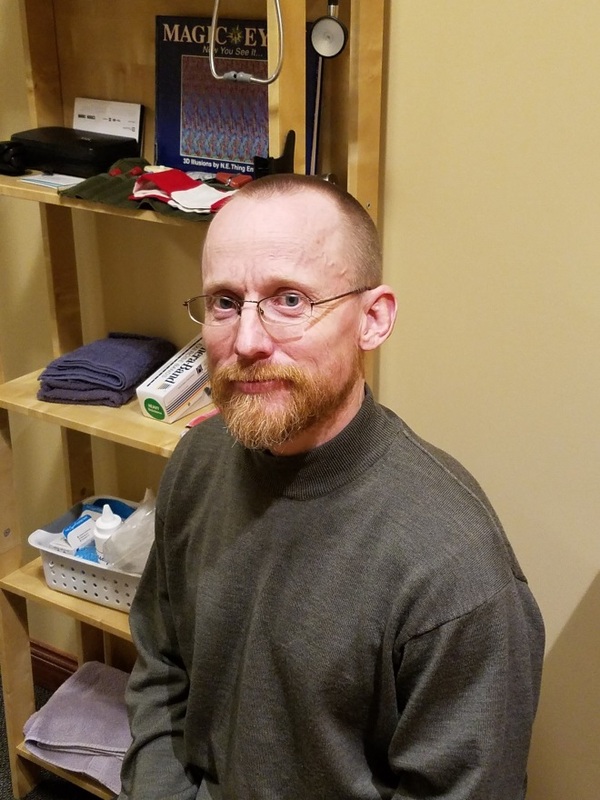 With the exception of a short tour of duty in the U.S. military, Dr. Paul N. Siemers is a thirty six year resident of southern Minnesota and a 1998 graduate of Northwestern College of Chiropractic. Inspired to help the progressively expanding population of patients suffering from complex neurological diseases, Dr. Siemers brings twenty years of experience in private practice together with 8 years of study in the progressive field of functional neurology to help those who feel they have failed to recover with previous interventions, and do not know where to turn with debilitating and persistent neurological symptoms.